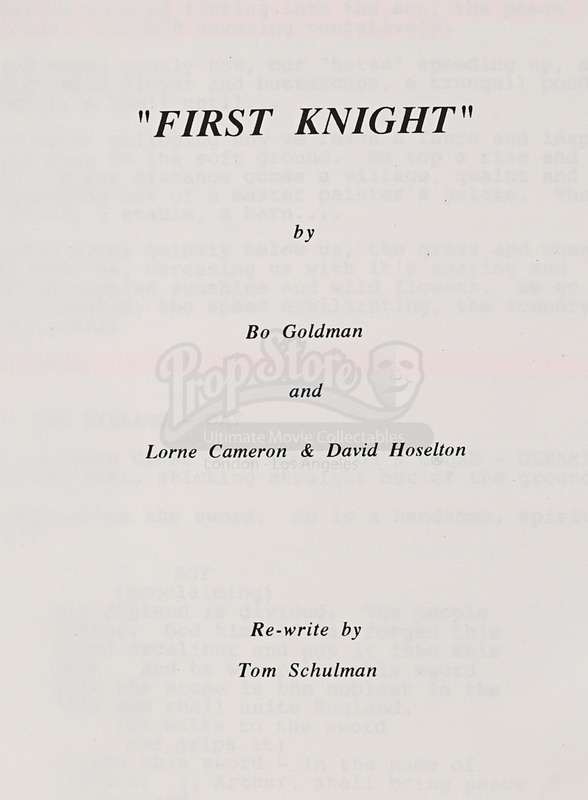 A script from the production of Jerry Zucker’s 1995 romantic adventure First Knight. 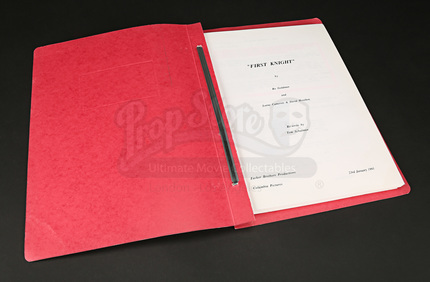 Bound in a red cardboard cover, the script’s cover page features the film’s title and notes that this version is a rewrite by Tom Schulman, best known for his screenplay Dead Poets Society. 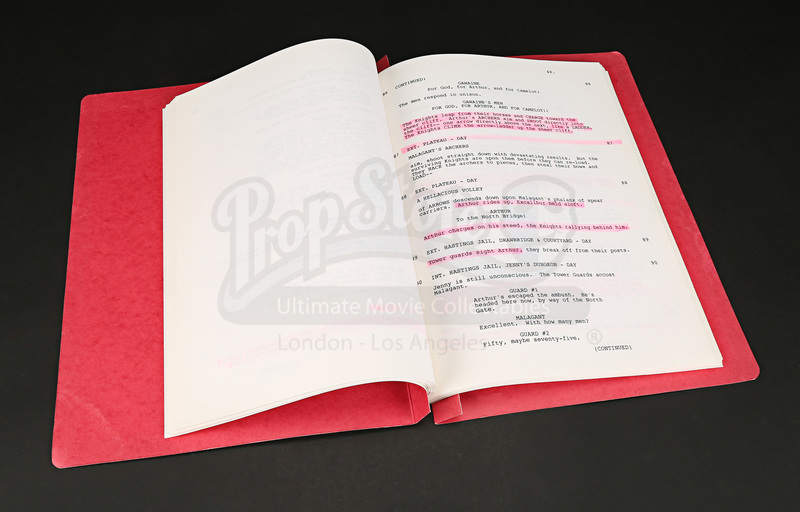 Dated 23rd January 1993, the script is comprised of 111 white A4 pages printed on one side. 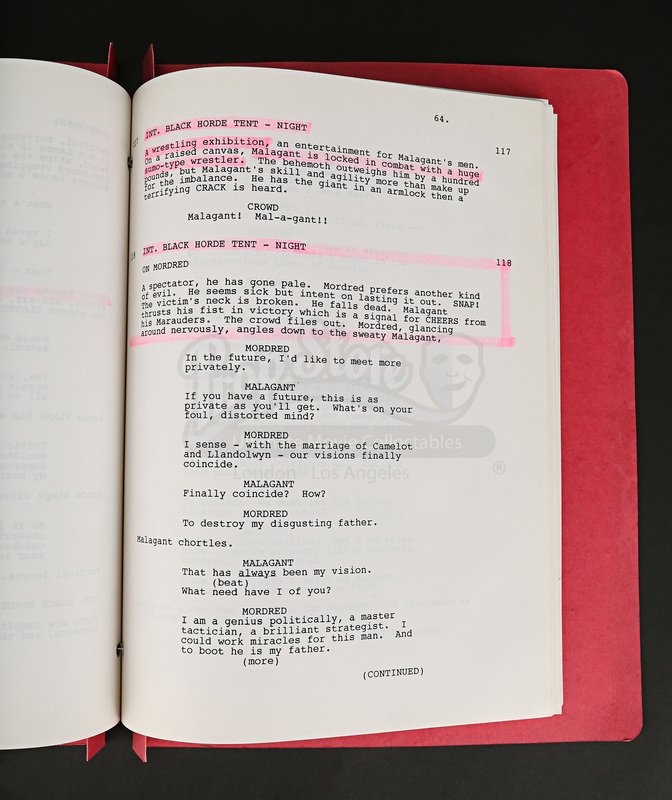 Various passages have been highlighted in pink, indicating use during production. The script features minor damage to the back of the cardboard cover but remains in overall excellent condition.